Programs in this Core Program Area enable youth to become proficient in basic educational disciplines, apply learning to every day situations and embrace technology to achieve success in a career. CareerLaunch encourages Club members ages 13-18 to assess their skills and interests, explore careers, make sound educational decisions and prepare to join our nation’s ever-changeing work force. Mentoring and job shadowing opportunities for Club teens and training for Club staff round out the program. The Gap Foundation sponsors CareerLaunch. Project Learn is designed to engage young people in learning, to encourage them to succeed in gaining their diplomas, and to assist them in becoming lifelong learners. Students work with two certified teachers and a case manager who assist students in reaching their goals. Read more about the GED/Hi-Set Program by clicking here. Goals for Graduation, a Project Learn program, introduces academic goal setting to Club members ages 6-15 by linking their future aspirations with concrete actions today. Members create an action plan with daily and weekly goals leading to short- and long-term academic gains. An encouraging recognition strategy buoys members as their successes are recognized at every step of their journey. The JCPenney Afterschool Fund sponsors Goals for Graduation. Older youth members who want to learn about having a job intern with a mentor to learn. The youth are all Club members and this program gives them their very first venture into the job market. Money Matters promotes financial responsibility and independence among Club members ages 13-18 by building their basic money management skills. Participants learn how to manage a checking account, budget, save and invest. They also learn about starting small businesses and paying for college. The Charles Schwab Foundation sponsors Money Matters: Make It Count. The program provides Club professionals with strategies, activities, resources and information to create an engaging homework help and tutoring program that encourages Club members ages 6-12 and 13-18 to become self-directed learners. The JCPenney Afterschool Fund sponsors Power Hour: Making Minutes Count. Project Learn reinforces and enhances the skills and knowledge young people learn at school during the hours they spend at the Club. This comprehensive strategy is based on Dr. Reginald Clark’s research showing that students do much better in school when they spend their non-school hours engaged in fun, educational activities. Project Learn also emphasizes parent involvement and collaboration between Club and school professionals as critical factors in creating the best after school learning environment for Club members ages 6-18. Extensively field tested and formally evaluated by Columbia University with funding from Carnegie Corporation of New York, Project Learn has been proven to boost the academic performance of Club members. The JCPenney Afterschool Fund underwrote the initial implementation of this educational enhancement approach in Clubs across the nation. A program that focuses on helping middle school students with their school work and homework. The goal is to help students improve by at least one letter grade while they are in the program. Over the long term improved understanding, better study habits, and more classroom engagement will occur. These should help improve the transition to high school thereby reducing the incidence of drop outs. 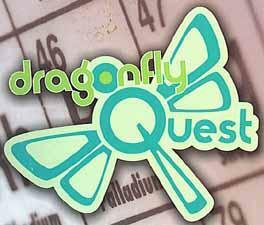 A program concentrating on a different scientific or mathematical area each month. Some have included building, astronomy, and money. 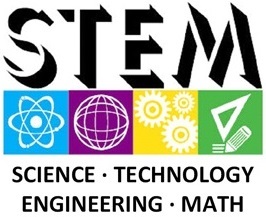 S.T.E.M., an acronym for Science, Technology, Engineering and Math education, is a hands on, activity based curriculum, connecting our members to these disciplines with a fun, interactive approach. The S.T.E.M. club focuses heavily on the engineering component. The 9 challenges result in an innovative project illustrating how engineering can improve a community. Read more about the S.T.E.M. program by clicking here. A state funded youth employment program for teens and young adults aged 14 to 21 living in low-income communities across Massachusetts. YouthWorks increases the employment of teens through partnerships that prepare, coach, and support teens in job search and job success. During the summer, participants work up to 25 hours per week at public, private, and nonprofit worksites. 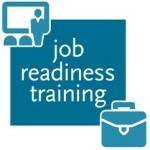 Participants also take part in job-readiness workshops to help them acclimate to their jobs. In many cases, a YouthWorks placement serves as a young person’s first job. Read more about the Youth Works program by clicking here.